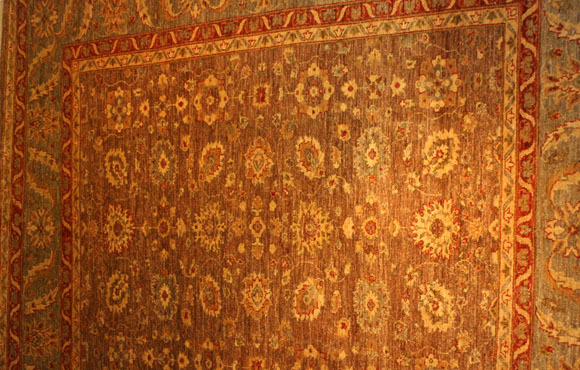 Pakistani carpets, like this “chobi” above are best-sellers on the world market. They combine high quality with good wool and natural dyes. This rug is often chosen for its decorative value, the soft colors acting as neutrals for other patterns and colors in the home. 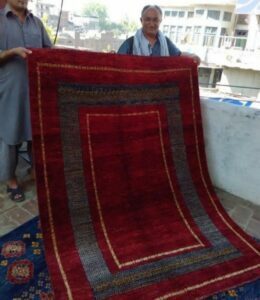 Didar Ali, head of workshop, holding recently finished Hunza carpet. Some of the carpets at Music for the Eyes are made for us in Hunza, in a mountainous area near the high peak of K-2 in Pakistan. Our favorites are gabbehs, which have saturated colors and modern designs. 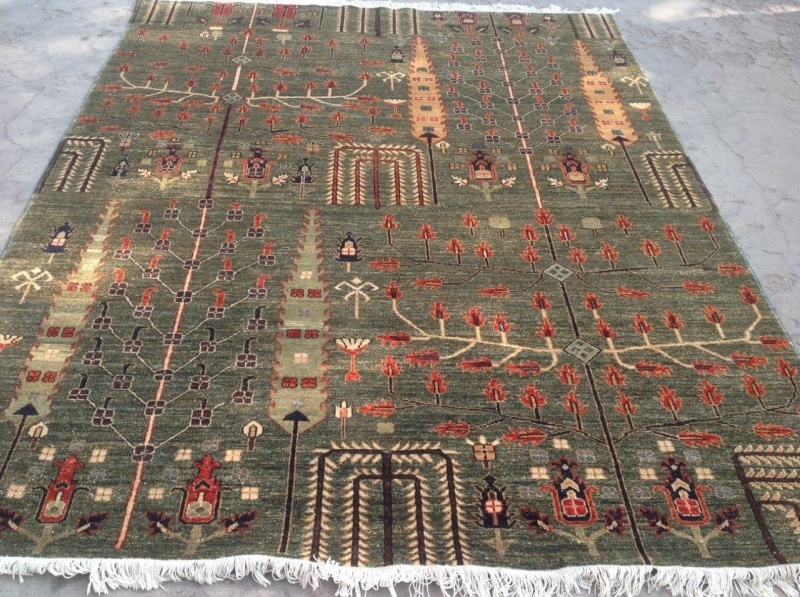 Rug with Trees from Lahore, Pakistan. Another of our rug guys is the wonderful Bilal, whose Splendour Rugs in Lahore, Pakistan, sends us some of the most amazing carpets, including this green beauty with lots of fascinating trees. This is going to be perfect on our Whidbey Island, which is full of tall trees! To learn more about Pakistan visit our Carpet Country profile page about Pakistan.